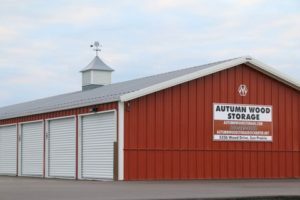 At Autumn Wood Storage, our customers come first. We are confident that you will find our knowledgeable storage professionals to be friendly and helpful. We take meticulous care of our clean, secure, and well-lit self storage facilities. Our goal is to ensure that your every self storage need is exceeded. At Autumn Wood Storage, we put your mind at ease. You can trust that valuable possessions will be safe in whichever storage unit you have chosen. Our security measures include super-bright security lighting, 24/7 video monitoring, and extra-secure construction methods. Why Choose Autumn Wood Storage? We know you have a lot of choices when it comes to choosing a storage unit facility in Sun Prairie. So why should you select Autumn Wood Storage for your self-storage needs? Our storage facility is well-lit and we monitor the site using video surveillance. You can trust that what is valuable to you is valuable to us as well. We live in the area and we understand the needs of our neighbors. We proudly serve the Madison and Sun Prairie area. We’ve worked hard to keep our prices competitive within the Madison and Sun Prairie area. We offer a variety of different sized units, and you can keep your costs low by choosing the right sized unit for your needs. We understand the importance of convenience. Our storage spaces can be accessed directly from your automobile, and there is plenty of room to manuever larger vehicles.